It is tiny, so it may be difficult to use if you have hand dexterity issues. SUMMARY: All of the same technology that you find on the wildly popular Empower Boost, but with a new smaller and more discreet design. It is designed so that nothing is behind your ear or in your ear canal, but it still has the same excellent sound quality amplification that you would expect from LifeEar. It is an especially great design for individuals who wear glasses, or for those who don’t like the feeling of their ear canal being blocked that can occur with other types of hearing aid styles. 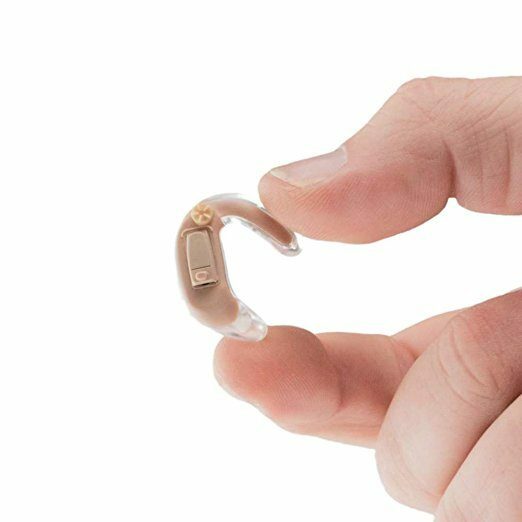 The Empower Active Hearing Amplifier from Lifeear is a high-quality personal hearing amplifier that is an excellent alternative for those who need a bit of help hearing in difficult hearing situations, but who are unable or unwilling to pay for a high priced hearing aid. This device can be useful for approximately 96% of the most common hearing issues. LifeEar also offers a risk-free trial of the device for 30 days. So you can get it and test it out, if it doesn’t work for your type of hearing loss then you can return it for a full refund. This model was designed by audiologists, and one of the most convenient things about it is that you don’t have to get a prescription or medical evaluation to buy it. It has a 12 band digital sound processing feature that zeros in on voices and reduces background noise. It also has a dial to adjust the volume level, and you can change the programs by pressing a button. You cannot use the device on either ear; you must buy for either left or right or as a pair. This hearing amplifier will help with watching TV, conversations with friends, meetings and talking on the phone. You will want to buy an amplifier that will be comfortable for you; if it isn’t comfortable, you won’t use it. 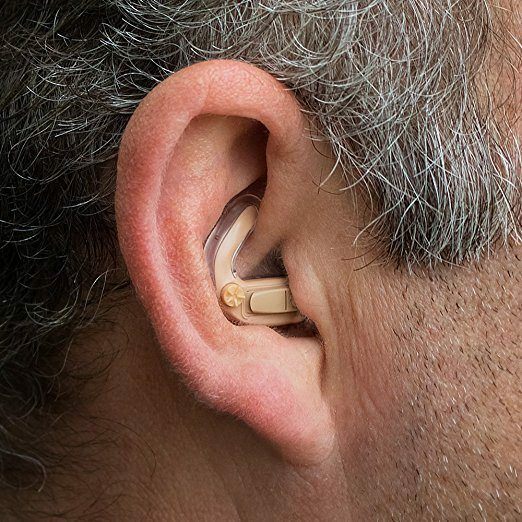 The design of the Active model should mean that it is a comfortable fit for most users since it was designed to fit in the same way as a hearing aid custom-fit mold. Although since everyone has different sizes of ears and different levels of what they find comfortable, it may not be the case for everyone. To use it, all you have to do is place the device into the entrance of your ear canal (not the ear canal itself). Then you tuck the arm into the upper bowl of your ear. It means that there is nothing behind your ear or in your ear canal. Active comes with four foam tips that you can experiment with if you are finding the fit isn’t snug enough for you. The foam tips can also help if you are experiencing whistling or feedback. 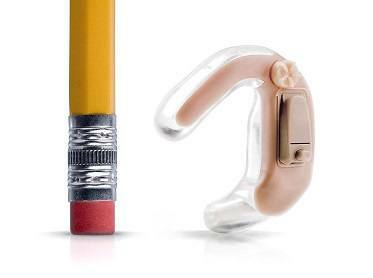 Empower uses the same type of all-digital, cutting-edge technology that you find in expensive hearing aids. You will see that it can help immensely when you are having conversations. The advanced noise reduction features enhance the voices of others who are speaking to you, while at the same time tuning out the background noise. It has advanced feedback cancellation, which is a very useful feature (you will appreciate this feature if you have ever tried using a cheap hearing amplifier). As with all hearing devices, it may take some getting used to the Empower Active while your brain adjusts and learns to process what it is hearing. Since this device is relatively pricey and won’t work for all types of hearing issues if you do buy it make sure you test it right away. If you find that it doesn’t work for you, will be able to return it easily within the 30-day risk-free trial period. The Active model comes with a 12-month warranty. Like the original Empower model, Active uses size 10/10 A zinc-air batteries that can be purchased at many different types of stores (Walmart, drug stores, Amazon). The battery life is around five to seven days’, depending on how much you use it. When using this device, you need to make sure you open the battery door at night when not in use, as it will extend the battery life as well as let any moisture dry up. You can also store it in a hearing device dehumidifier unit to get rid of any moisture. If you are finding that you are having trouble hearing in certain situations, but cannot afford thousands of dollars for a hearing aid, you should have a look at either the Empower or Empower Active models of hearing amplifier. The Active model is an excellent option for those who find that the behind the ear style of amplifier isn’t for them. It is a high-quality alternative to the extremely popular original Empower hearing amplifier. One caution is that if you are buying this for yourself or for someone who has hand dexterity problems, this may not be the best option as it is tiny and changing the batteries may be difficult for some individuals. Empower Active currently only comes in beige. You can buy either a left or right ear configuration, or buy them as a pair can be worn in each ear. If you buy them as a pair, they are slightly cheaper than buying one at a time. It comes with the device, a carrying case, a cleaning brush, four foam tips, and six size ten batteries. This model is intended for moderate hearing loss, not severe hearing loss.